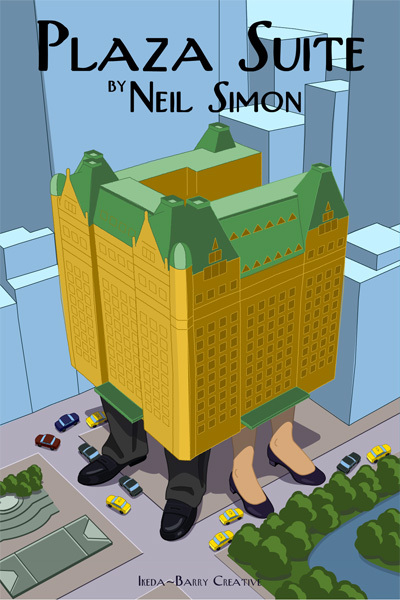 Plaza Suite is three couples and their relationship conflicts over a week-end at the Park Plaza hotel overlooking New York’s Central Park. The three stories are told over three acts with two actors playing all the roles. We tried to suggest as much of this as we could and, clearly, took influence from The New Yorker.